Let's talk about Parisian style. 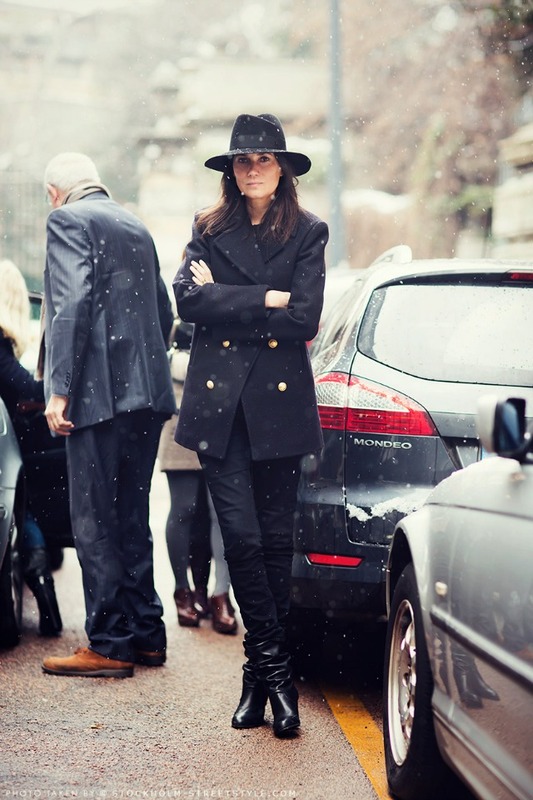 Well, actually, let's talk about Emanuelle Alt's Parisian style. If I had to choose, I think I might be able to declare her my ultimate style inspiration amongst all the editors we obsess over during the fashion weeks. Sure, I love the style of Joanna Hillman and Taylor Tomasi Hill, but Alt's is a style I actually identify with and emulate in my own (real, day-to-day) style. She favors super-skinny jeans, structured, long blazers, slick heels and soft, relaxed tops. Her style is deliberate and unfussy, streamlined and somehow both elegant and rock-and-roll. You can't quite put your finger on it, right? It's the je ne sais quoi. Ughhh, les francais, non? I think style is in their DNA. Anyway, if I were to go about re-creating her look to the best of my abilities, this is how I'd do it. You guys already know of my love for the pea coat so I'll skip that part, but I'll reiterate my obsession with black skinny jeans (my fav right now are these BDGs), and imagine that she's wearing something simple and comfortable under her jacket, like this black cashmere J. Crew knit. Her black wide brim hat looks like this classic from Borsalino, and I'd actually opt for a shorter, sleek leather bootie - and these ones are a $49 steal from H&M! Finally? A few swipes of black mascara and voila - la chic parisienne. Love this! Making me want to revamp my wardrobe and only wear chic, soft black items layered over skinny jeans. Endless chicitude.